Many people coming to Prague plan to visit Prague Castle. But it is not the oldest castle in Prague. Much older than Prague Castle was Vysehrad Castle which you can find on the right bank of Vltava River. 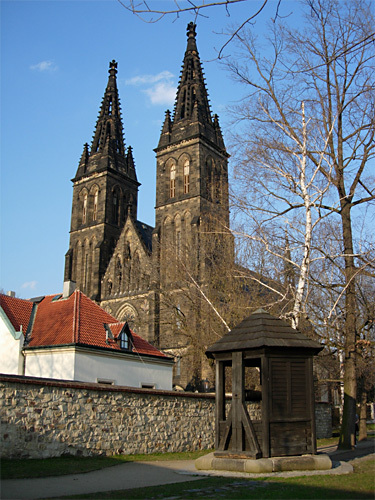 From Vysehrad Castle you can find only part of stone walls but there is still something to see: Gothic Church of St. Peter & Paul , St. Martin Rotunda which is the oldest Prague building, Vysehrad Cemetery. Posted: Praha, Apr 27, 21:09 by Czech-man.